Man United striker Romelu Lukaku has jumped to the defence of Jose Mourinho amid widespread criticism of his style, stating he deserves more ‘respect’. The Red Devils boss has endured a miserable summer at Old Trafford after failing to land the transfer targets he wanted before getting off to a terrible start in the Premier League. United are six points behind the early pacesetters after losing two of their opening four games and have looked notably vulnerable defensively, conceding eight goals already to date. A 2-0 win against Burnley before the international break relieved some of the pressure on Mourinho for the time being, but his team will face another huge test on Saturday when they travel to Vicarage Road to face Watford, who have won all of their games so far this season. According to the Daily Mail, the Portuguese boss has difficult relationships with several members of the Man United squad, most notably Paul Pogba, which has been cited as one of the main reasons for the team’s recent issues on the pitch. However, Lukaku insists that Mourinho is not to blame for the club’s recent failures, echoing the 55-year-old coach’s now infamous recent comments about him deserving more ‘respect’ from the media. As per The Mail, the Belgian striker told reporters on Friday: “People need to appreciate that, at least there are people who are real in this world like him. Because most managers in the league, when they are not happy they try to find a way to seem happy. “You should respect that he wants to keep his personality and not shy away from confrontation. He wants us to improve. He’s a normal guy… he’s cool with everybody. 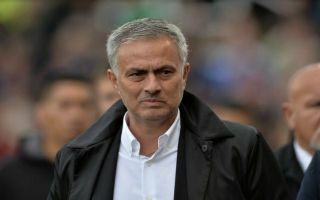 During his two year stay at Old Trafford Mourinho has one two major trophies and secured the team’s highest league finish since Sir Alex Ferguson left, but he has yet to convince supporters that he is the right man to lead the club forward. A win against Watford tomorrow will go some way towards re-assuring any disgruntled fans that he is the right man for the job, but any more dropped points could see him forced closer to the exit door as the new domestic campaign continues.